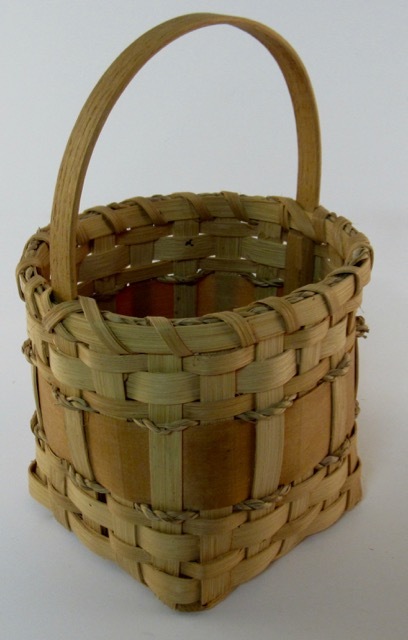 Contains all materials needed and instructions. Finished measurements are 12 x 12 x 7 1/2. This is the kit that Sandy uses to teach local scout troops, classes at elementarys and art classes, VBS or church groups, etc. Very easy for the adult to learn and then teach to a young student class. 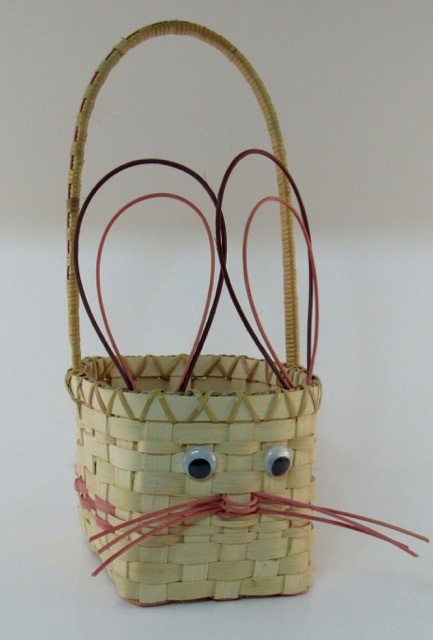 Make this basket for teaching little ones how to collect eggs or use for just a country decoration. Made for a Baker's convenience. 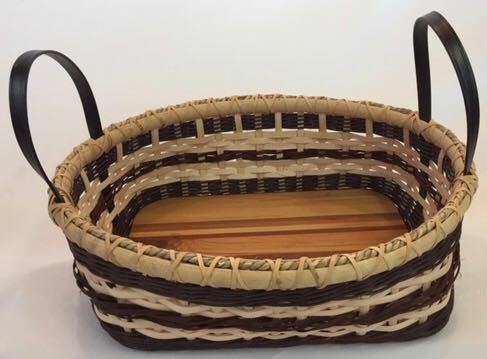 Display your breads or treats in this beautiful basket. Contains all materials needed and instructions. Finished size: 11 1/4" x 8" x 8". 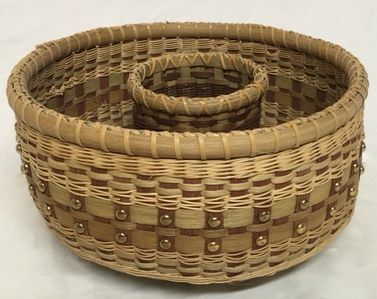 This basket is woven most likely as they would have woven it in the 1800's. 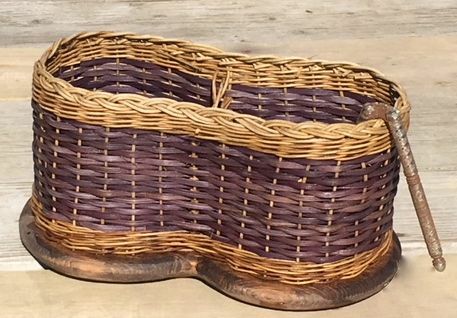 Learn some "old techniques" with this sturdy basket design. 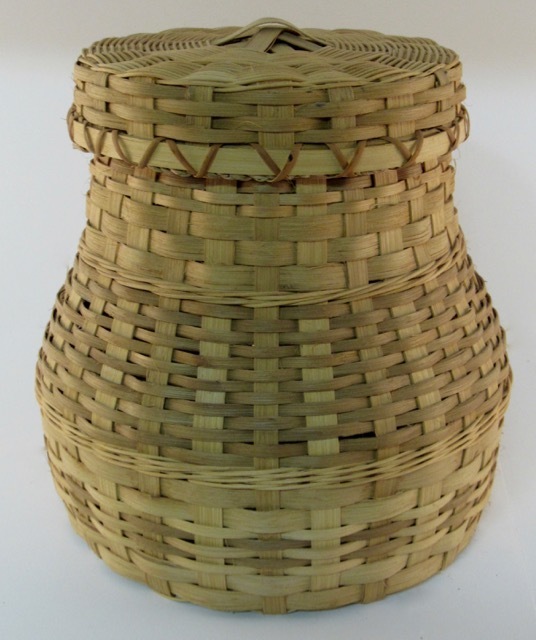 This is a very sturdy basket constructed on a stained wood base. 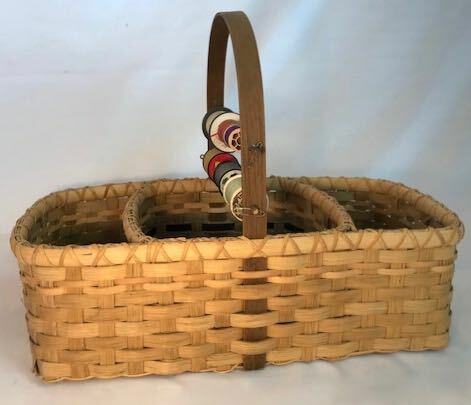 Great for holding crafts or books. For this kit, colors shown are given based on availability. 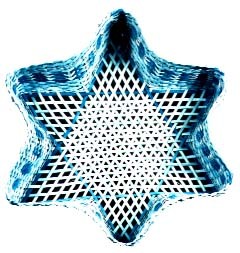 If not available, another color will be given in Green OR Blue OR Brown. 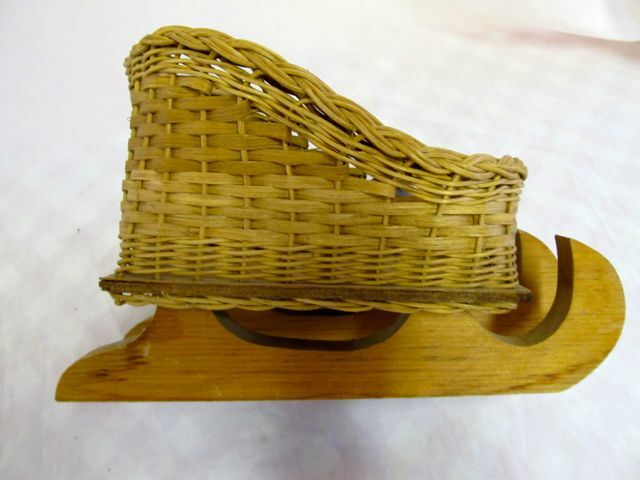 A cute sled for winter decorations or a nice gift for a child. ONLY 3 LEFT. TO BE DISCONTINUED. 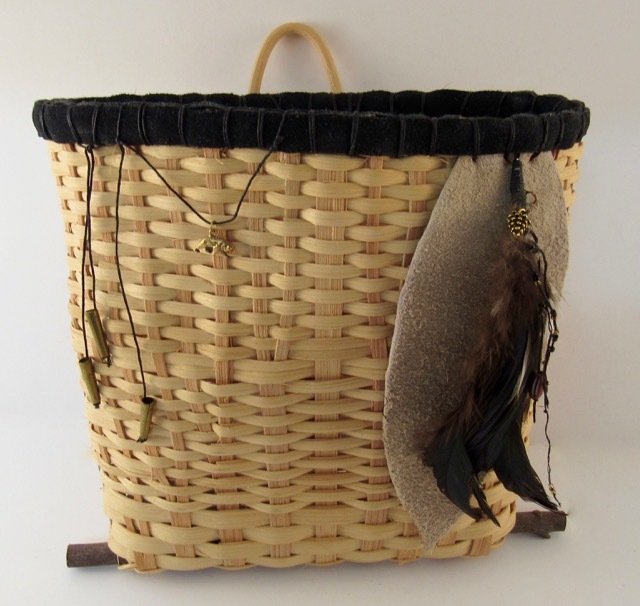 Pretty little basket for girls of all ages to hold their personal items like hair ties and barrettes. Contains instructions and all materials needed. 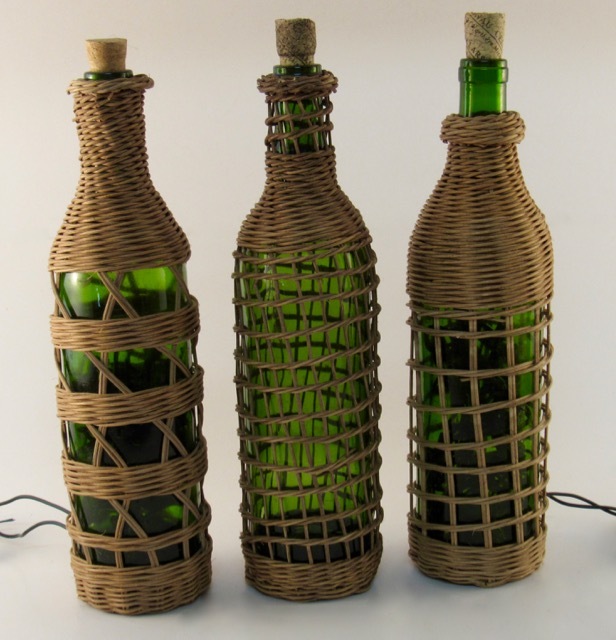 Add some fragrance to your house with these woven vases. 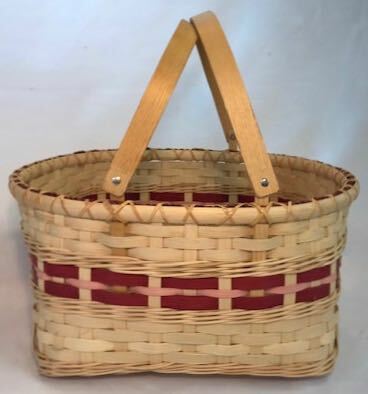 Finished size: 7 3/4" wide x 7 3/4" long Height 8 1/2", with handle 15 1/2"
contains all materials needed and instructions. 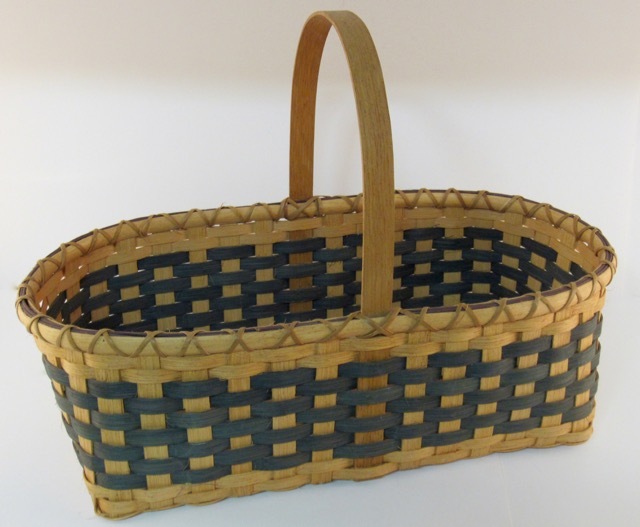 Finished measurements: 11" x 11" x 8 1/2"
Contains instructions and all materials needed. 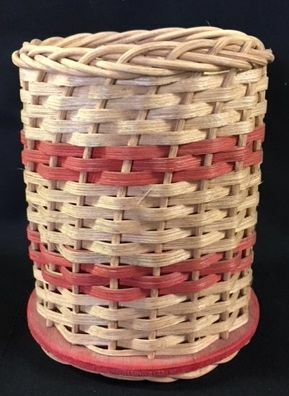 Finished Dimensions: 8 1/2" wide x 9" tall. 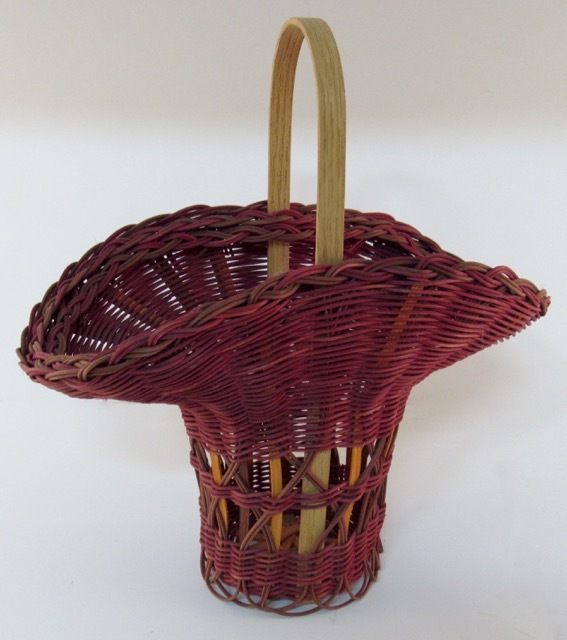 This ribbed basket is made with a hardwood handle, natural and dyed reeds. 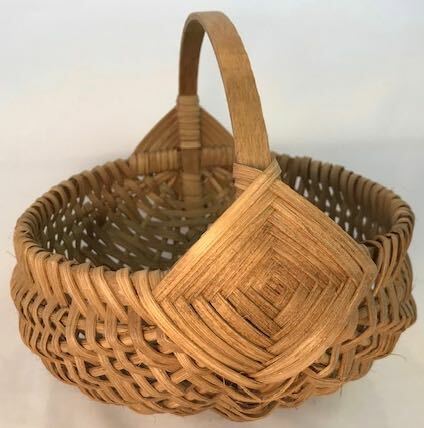 Ribbed oval basket with two tone god's eye. 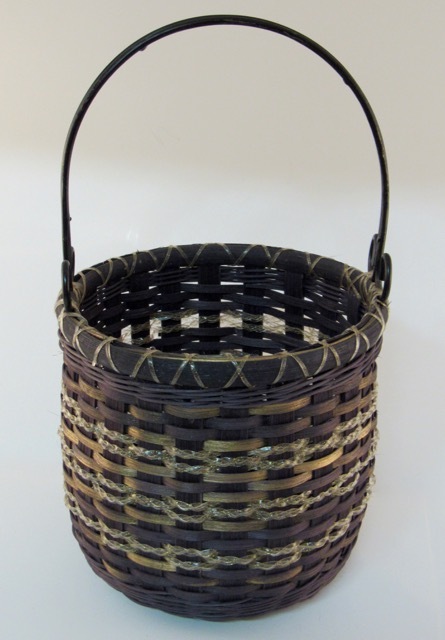 Black cane is Dyed Hamburg Cane. 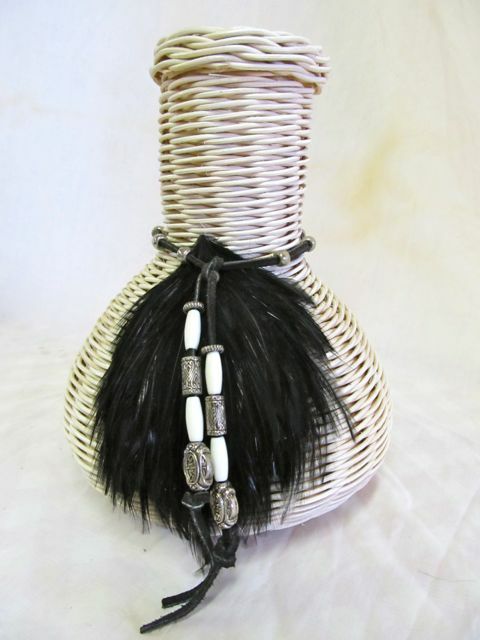 Handle is woven as a fancy handle. 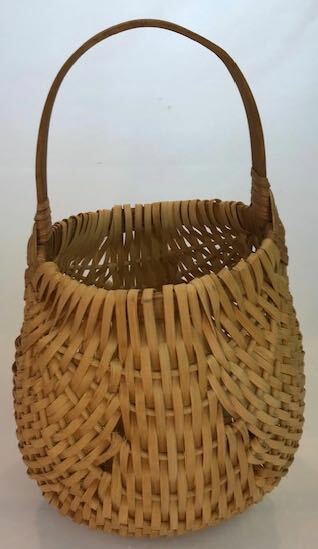 Approximate measurements-Height at top of hair-9 1/2"-10" Width at bottom of skirt-9 1/2"-10"
2 1/2" X candle ht 3 1/2"
5" base X 7" top basket diameter, basket ht 2" X candle ht of 6 1/2"
This tote is ideal for a quick trip in the car. 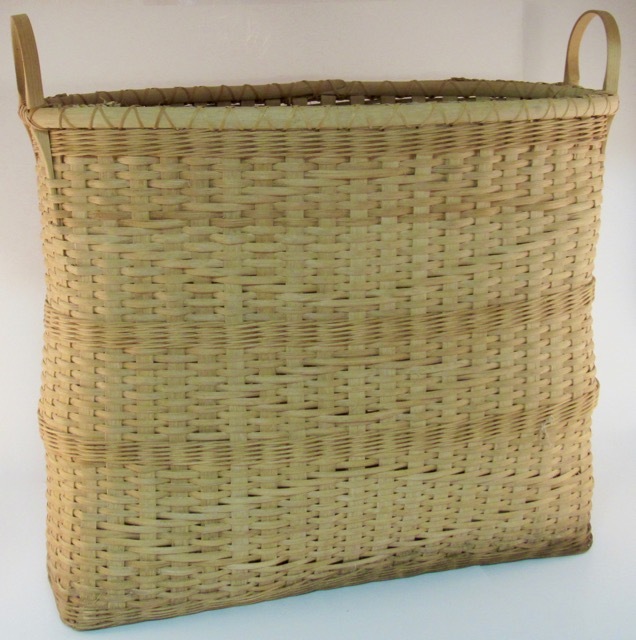 It has a closed base to hold all your belongings in the tote. The "quilted" accent pattern gives it a beautiful touch. 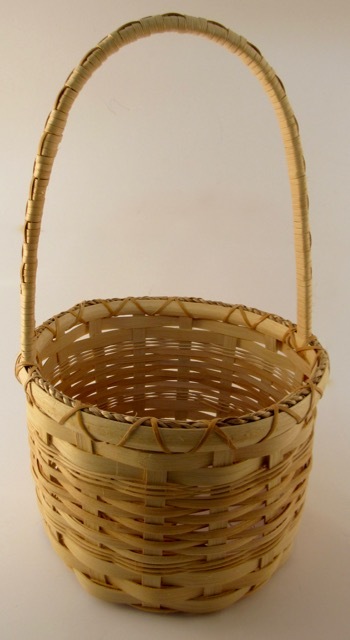 Contains all materials needed and instructions. 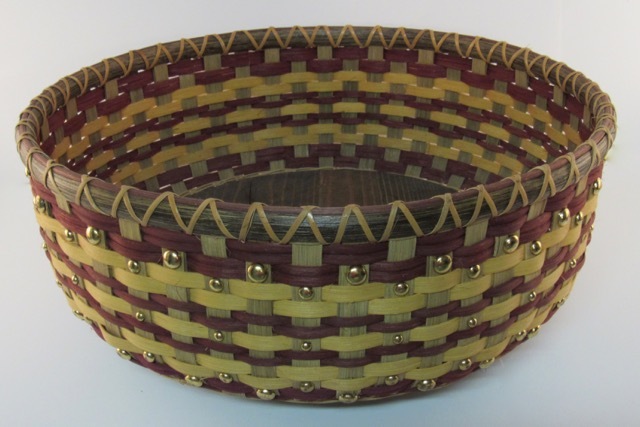 Finished measurements are 15" x 3 1/2"
This basket is meant to party! 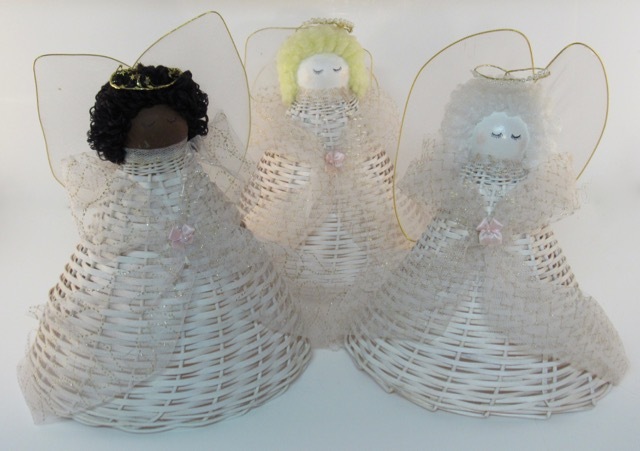 Add some character to your potted flowers or give as a gift to someone special. 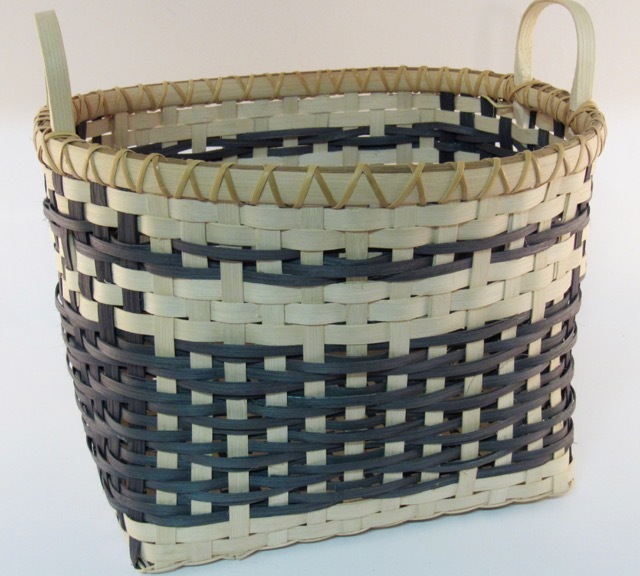 Contains all materials needed and instructions. Finished size 7" x 7". Approximate completion time 3 to 4 hours. Contains all materials needed and instructions. Finished size: 13" x 10" x 4". Approximate completion time 2 to 3 hours. 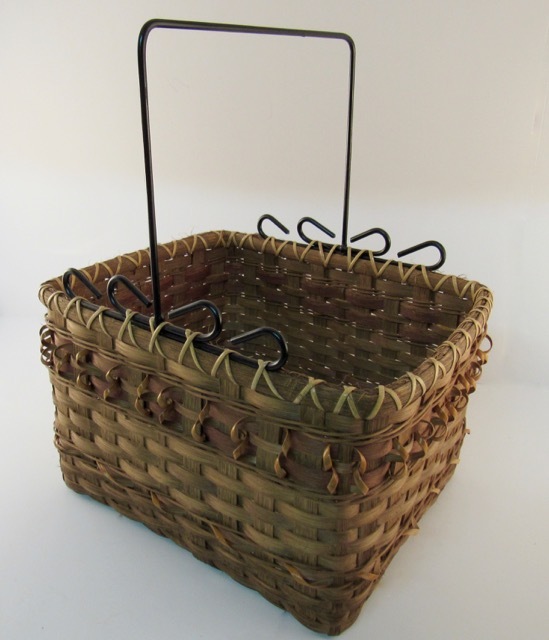 Nice way to store envelopes, letters or mail. 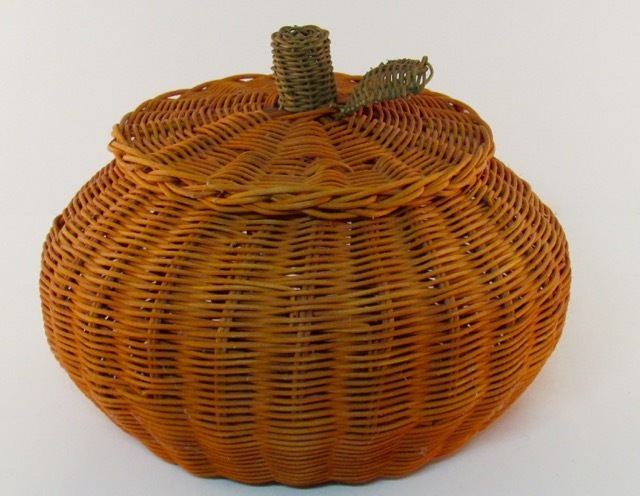 Rib style melon basket with traditional God's eye. Contains instructions and all materials needed. 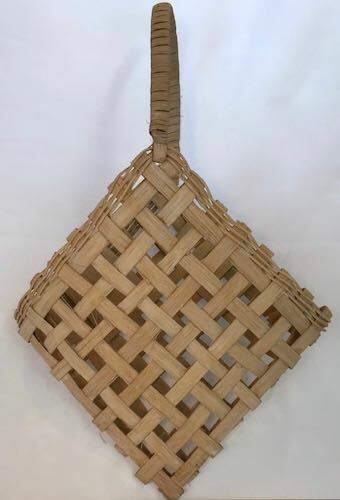 Weaving Level: Beginner. 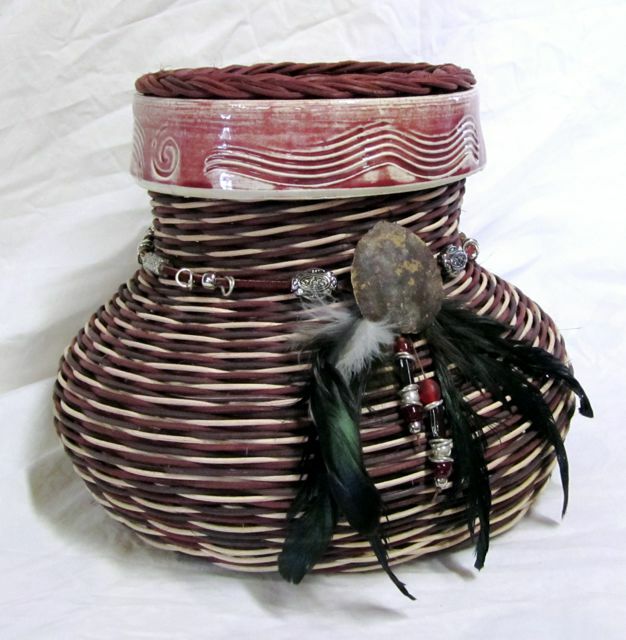 Finished Measurements: Base 6" x 11 1/2" - Height 4 3/4"
Designed after an earthen pottery vessel seen at Crazy Horse Monument in South Dakota. 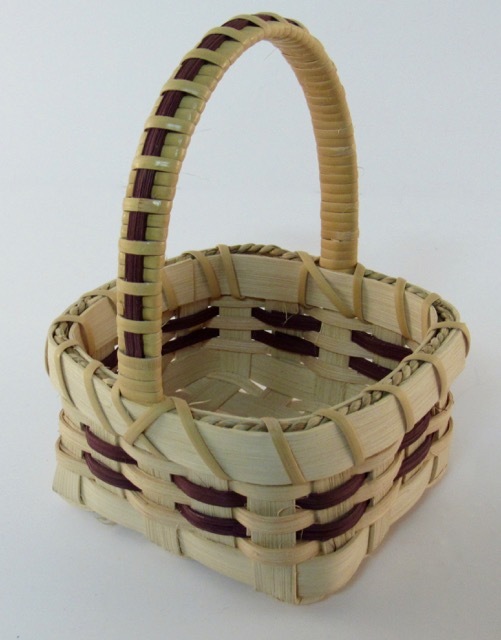 Create a unique basket with this kit. The base is laid out in a hexagon shape. 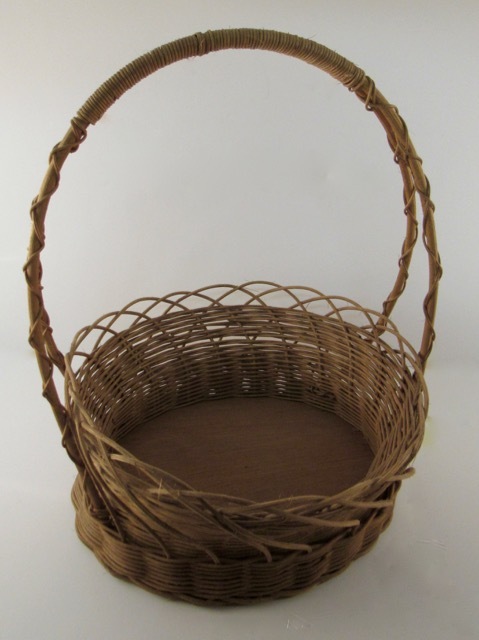 Large narrow basket to fit behind a door when it's open, for storage. 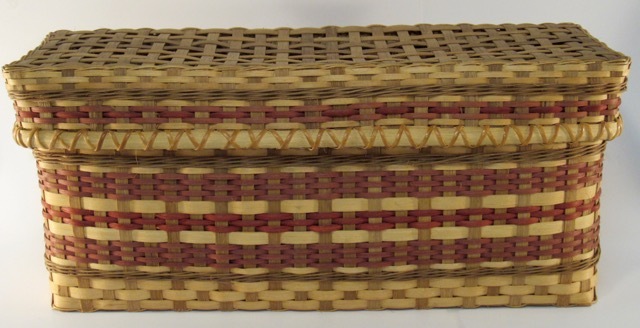 Great idea for storing quilts, blankets, extra towels. 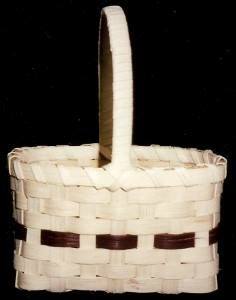 Contains instructions and all materials needed to make this 21 1/4"L X 9"W X 13"H hood X 7" High sides, cradle. 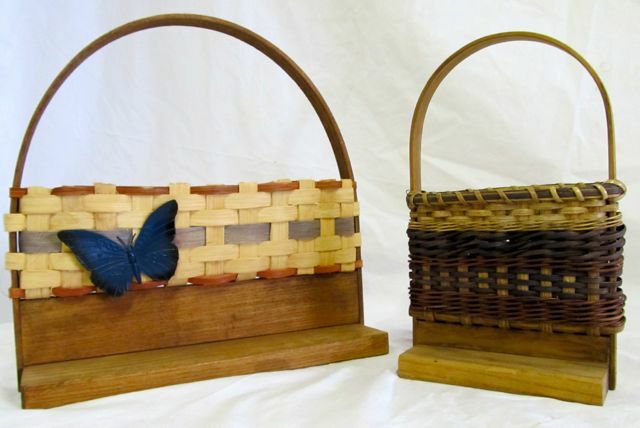 Contains all materials needed and instructions to make TWO of these projects! 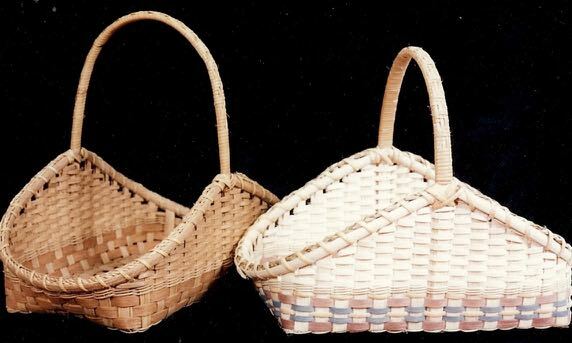 Weaving Level: Beginner to Intermediate. 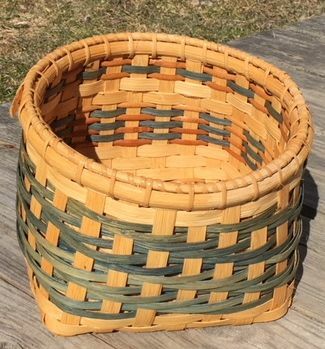 Finished Measurements: 7" wide X 13" tall (with handle 19"). 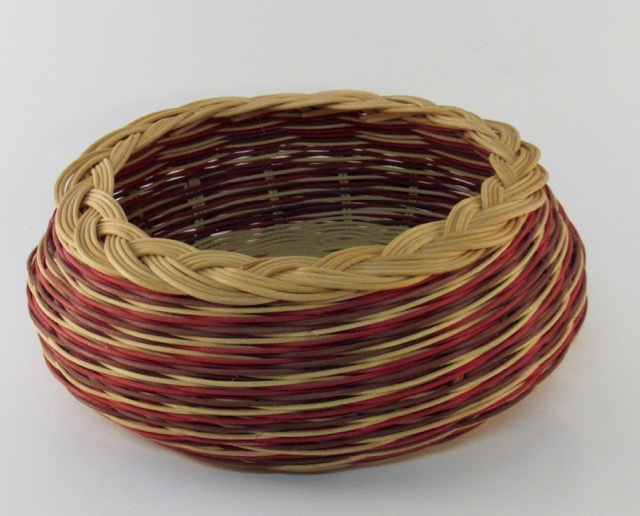 Test your weaving skills with this intermeditate basket. 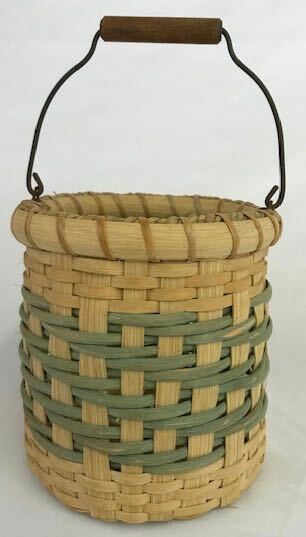 This basket is extra sturdy because it has two walls. 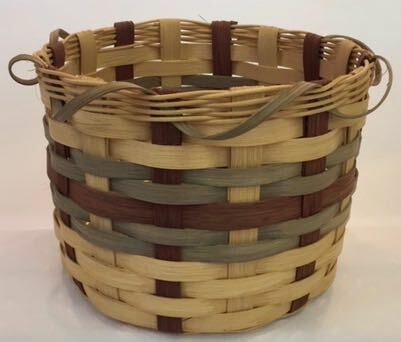 Make this basket for a gift or to hold heavy items. Great kit to teach Indian Heritage to youth and youth clubs. Even fun for adults. Contains instructions and all materials needed. Finished dimensions are 16.5" tall (with handle) by 10.5" wide. Bonus DVD included for only $10.00 more! 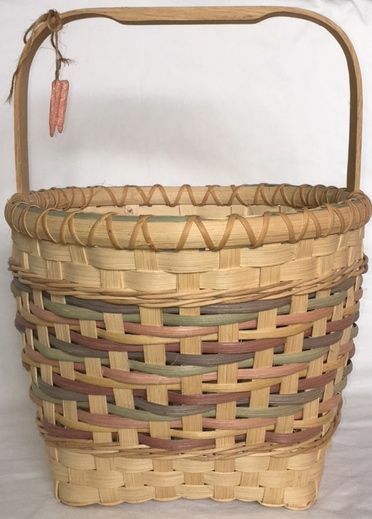 Market basket with handles and dyed reed. Contains instructions and all materials needed. Finished dimensions are 10.5" high (without handle) x 11.5" wide x 11.5" deep. 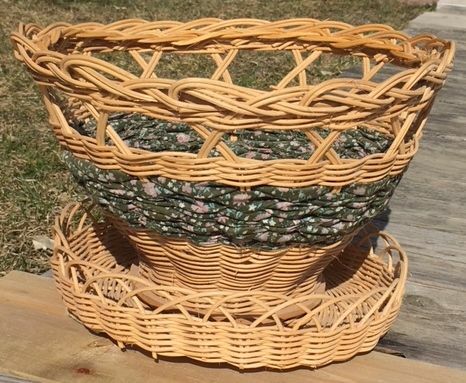 Looking for a decorative flower pot. Here it is. Make this to accent any plant. Contains instructions and all materials needed. Finished dimensions are 8" high x 10" wide x 9" deep. Contains instructions and all materials needed. Finished Dimensions are 8" tall x 11" wide by 12.5" deep. 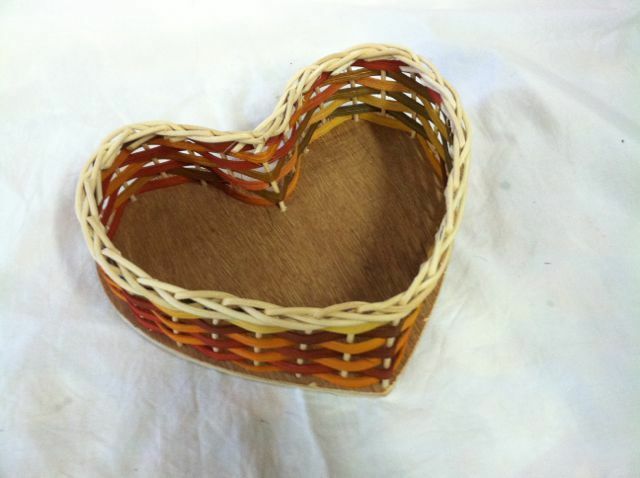 Order & More Info ON Foxfire! 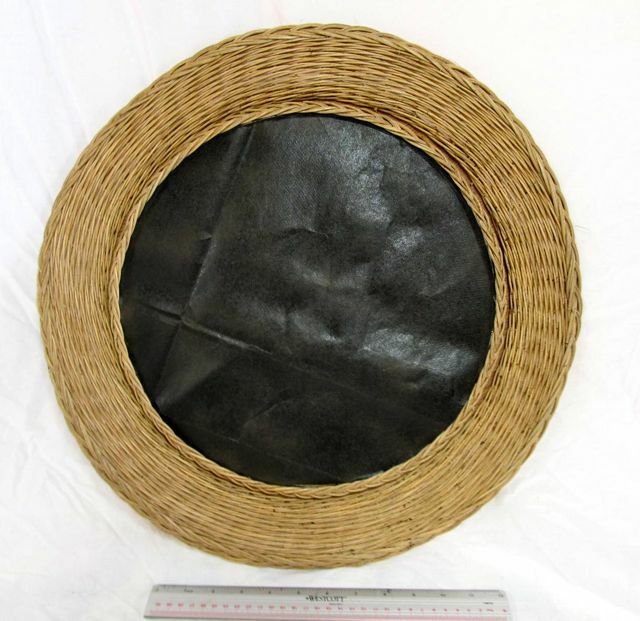 First created by the French to protect young garden plants. 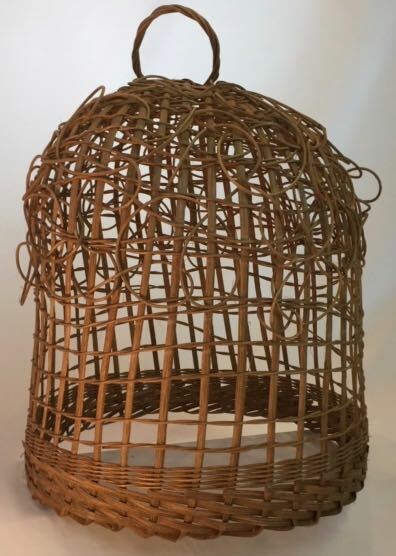 This woven cloche is wonderful for our gardens today or for display in our homes. 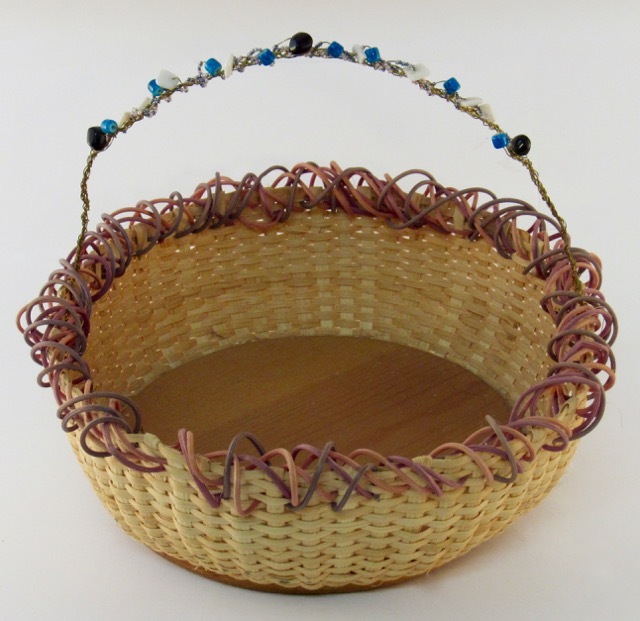 The random weave is fun and easy to do following a few simple rules. Finished off with a turn down border and topped off with a self handle. 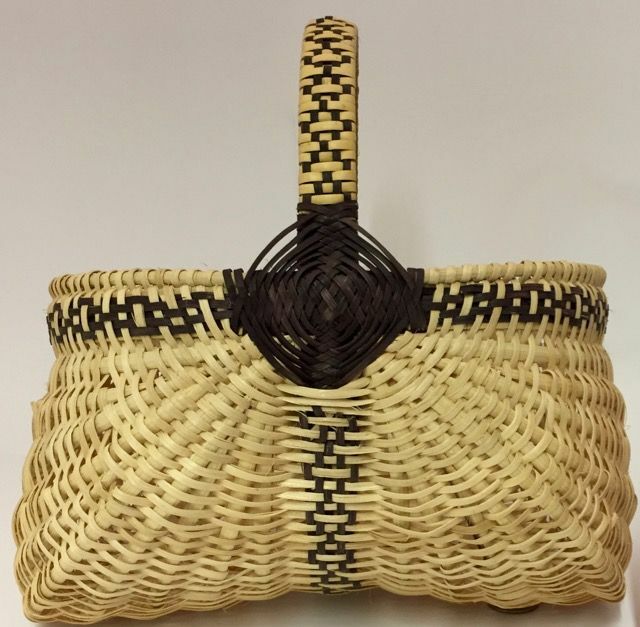 Students use their own creativity in this pattern of semi-free form weaving. 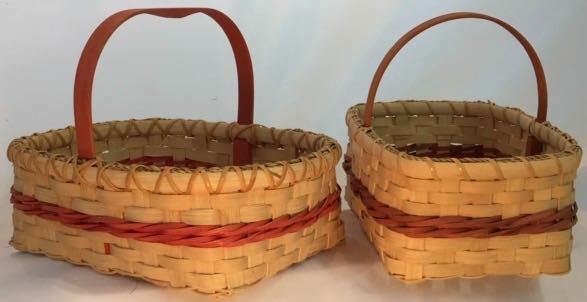 Contains all materials needed and instructions. Finished dimensions are 4.5" high x 16" wide x 8.5" deep. Contains all materials needed and instructions. Finished dimensions are 8" high x 16" wide x 10" deep (on top the dimensions re 22" x 18"). 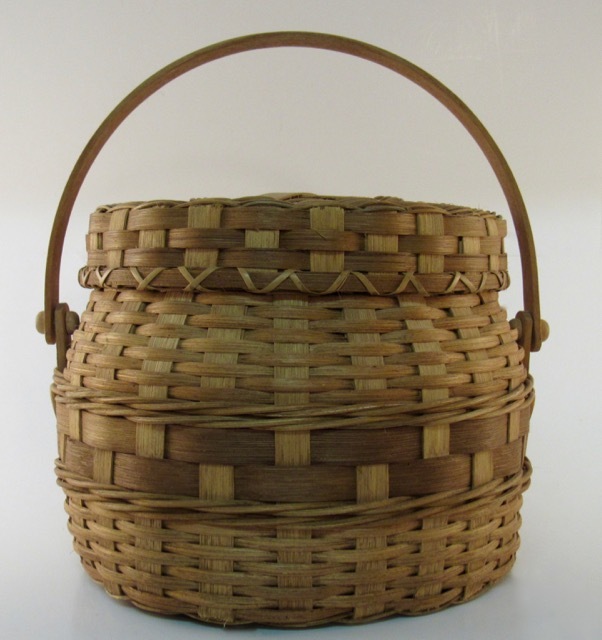 Contains all materials needed and instructions. Finished dimensions are 7" high x 8" in diameter. Contains instructions and all materials needed. Finished dimensions are 4" high x 16" wide x 16" deep. 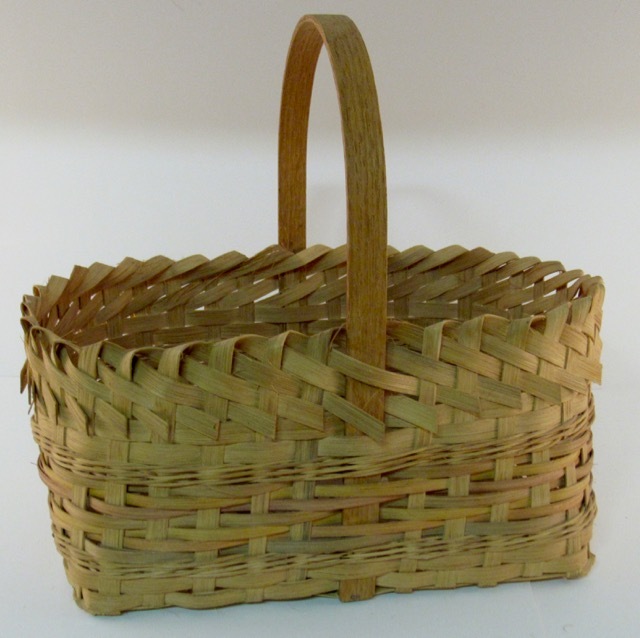 This picnic basket has sturdy Nylon Webbing handles, plastic insert and removable shelf. 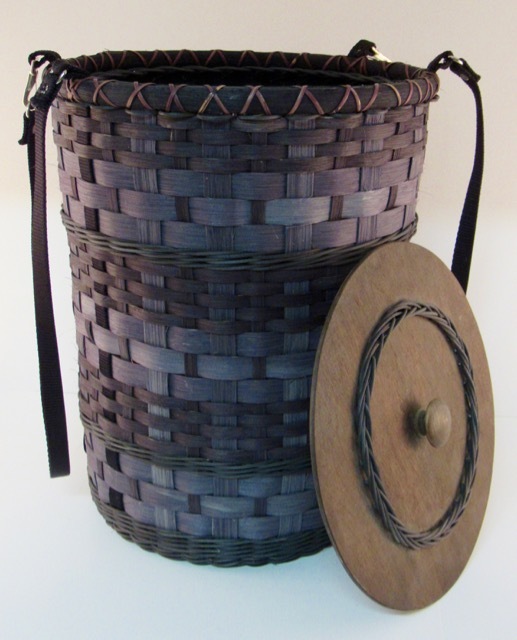 Contains all materials needed and instructions. Finished dimensions are 14.5" high x 14.5" wide x 8.5" deep. Contains instructions and all materials needed. 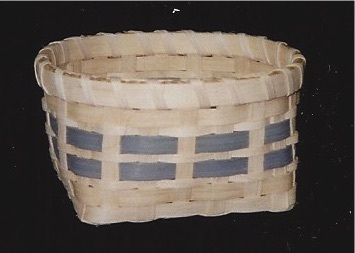 The basket is stained after completion. 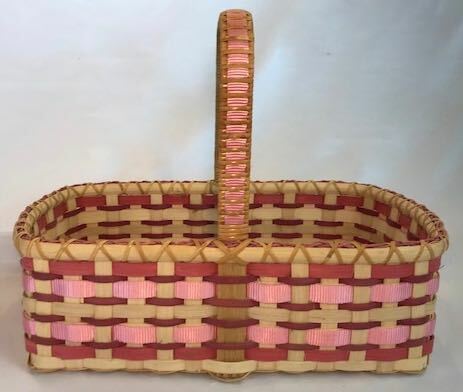 The pictured basket is in pink. 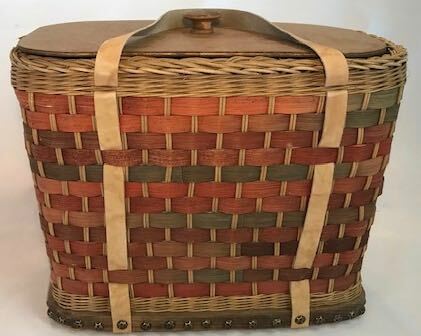 Picnic basket ready for heavy use. 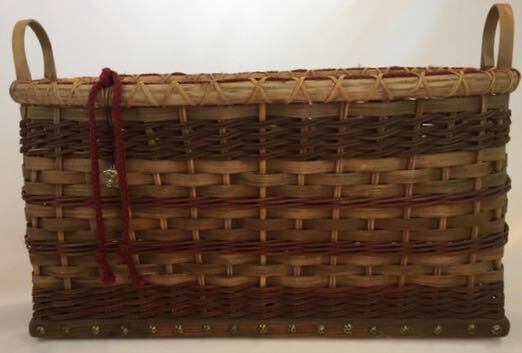 Constructed on a wood base with leather handles and plastic liner. 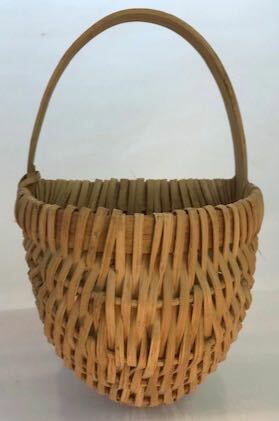 A classic market basket with a filled in bottom. 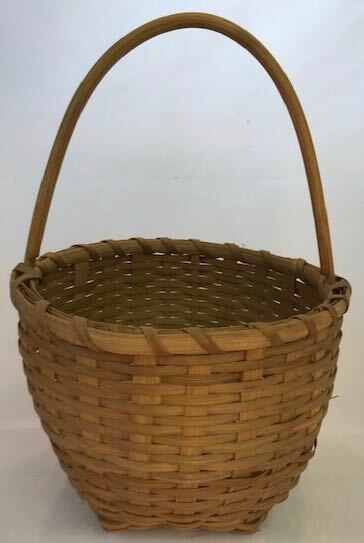 A good size basket for use on the go. 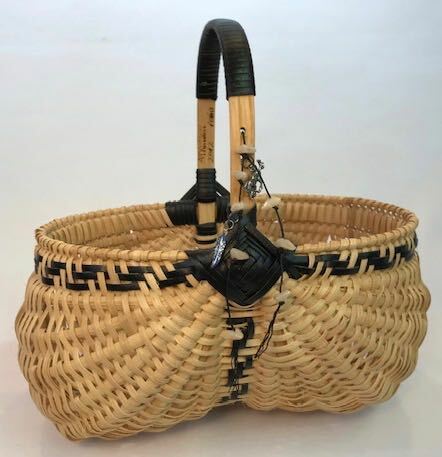 Woven with natural and dyed reeds, nylon webbing, cane and wood handle. 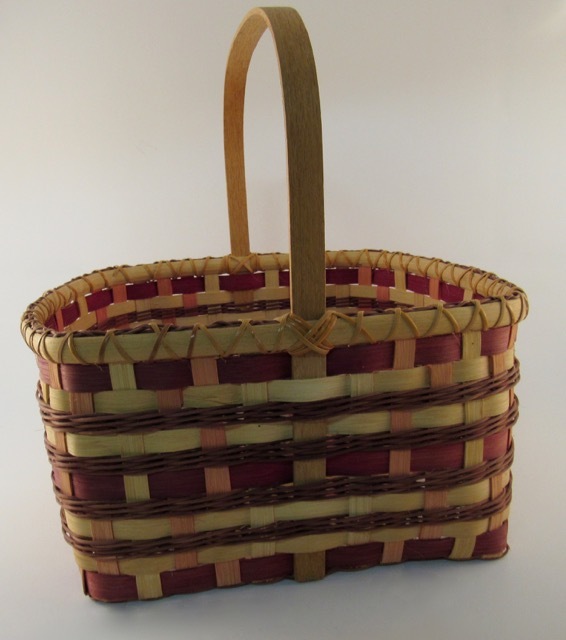 Finished size: Base 11 1/2" x 10", Height 8"
Contains instructions and all materials needed. Finished dimensions 5.5" high x 8" wide x 10.5" deep. 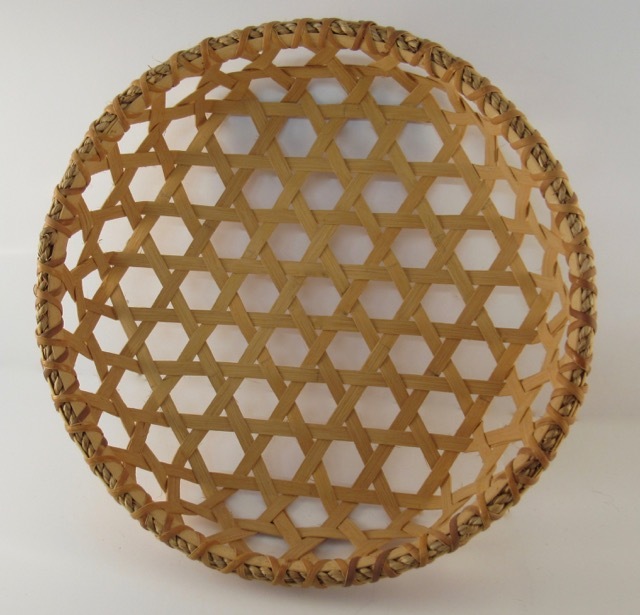 Woven round vase shaped basket has notched spoke base with randing and inserted spokes. 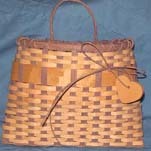 All materials and pattern included. Contains instructions and all materials needed. Finished dimensions 10.5" high x 12" diameter. 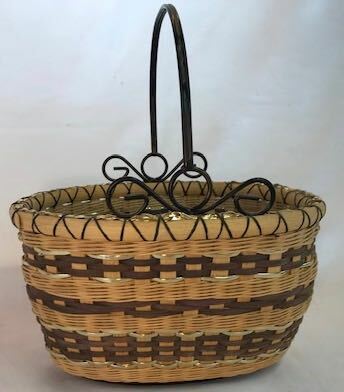 Swing handle basket with a filled in base. 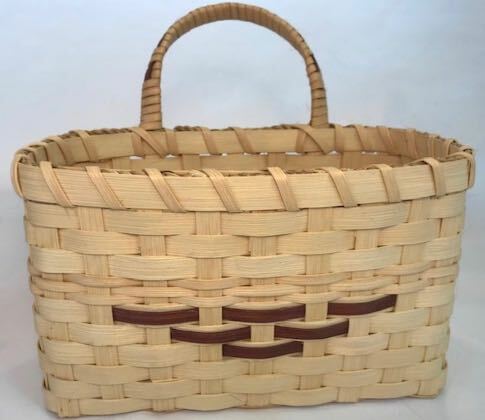 Decorative pattern gives this basket character. 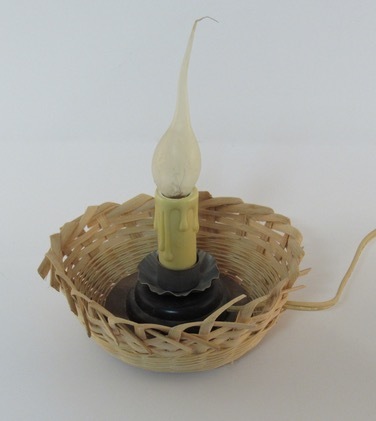 Create a night light with a decorative wine bottle and lights with woven round reed. 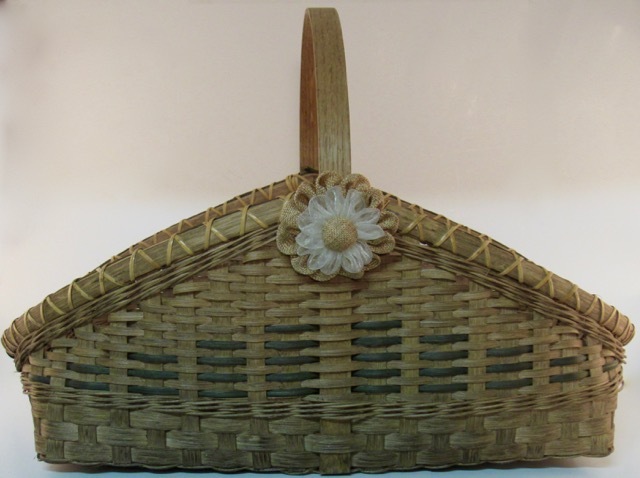 This is a nice basket to collect cut flowers or flower girl basket. Also would work for drying out herbs. 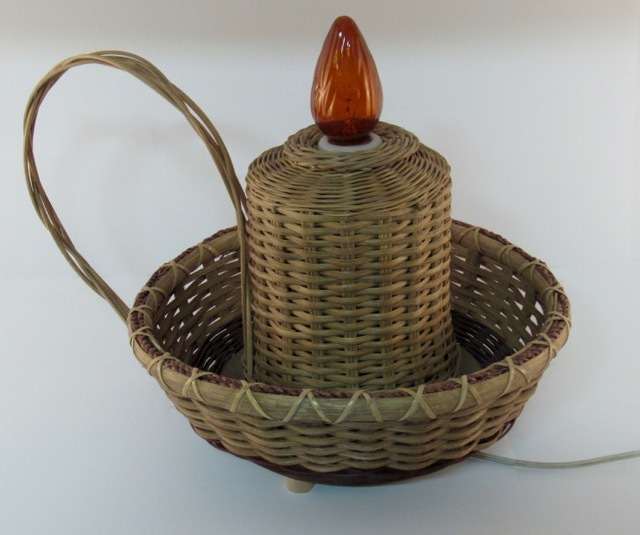 Do you have special trinkets you want to keep? 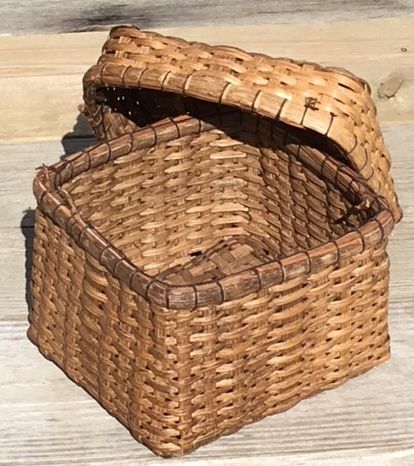 Here is a perfect basket for that purpose. 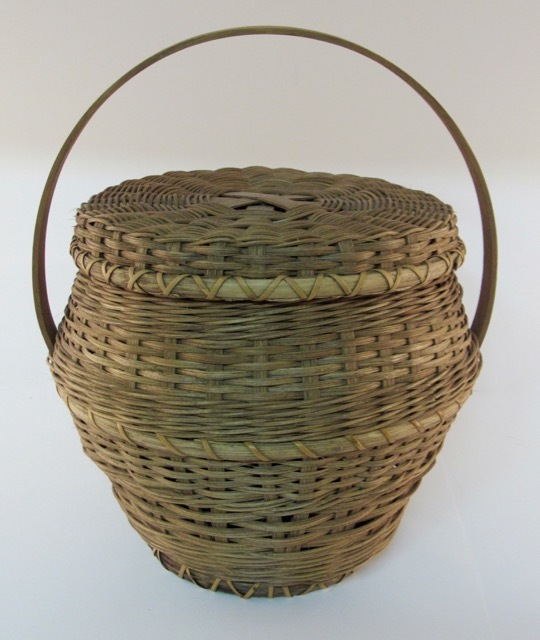 It has pine needles in the rim of the basket and lid for a creative twist. 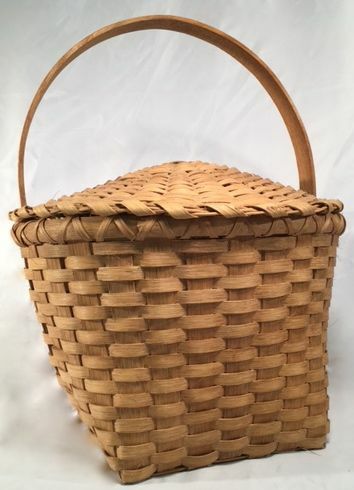 Very nice basket. 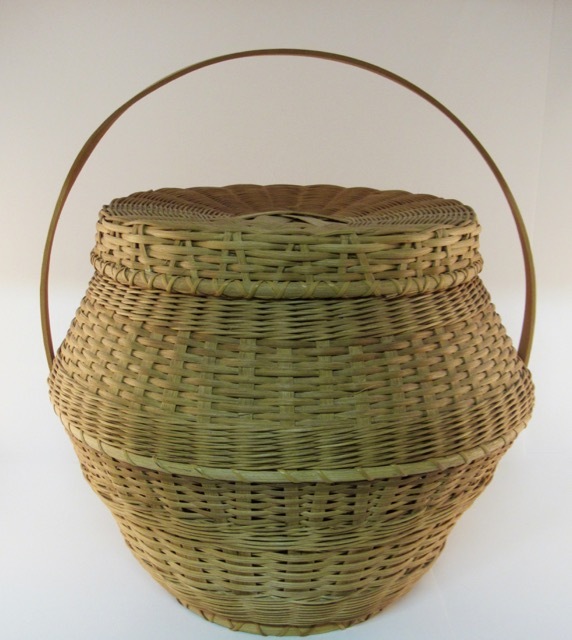 A classic market basket with a filled in base. 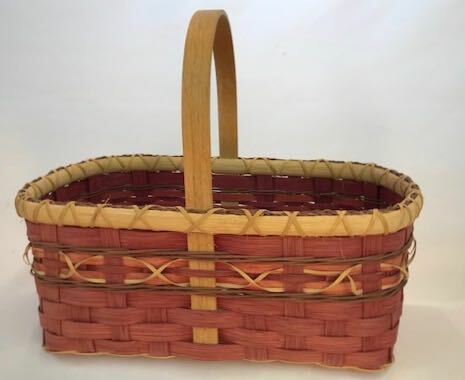 Make this market basket to shop with or use at home or for a special gift. from the Public Television series. 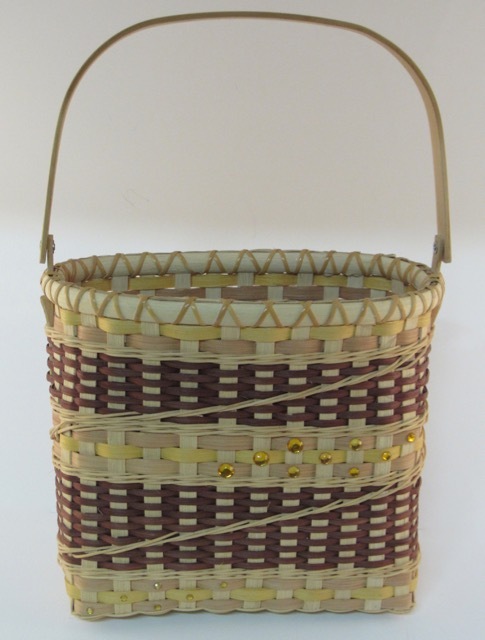 All materials included to finish this basket. 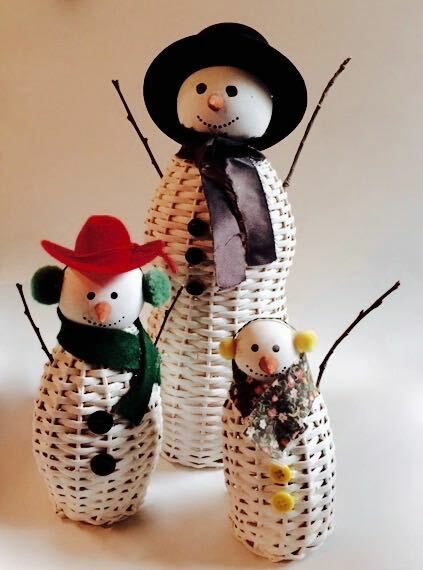 Cute decoration for winter. Mr Snowman is ready with his top hat, mittens, scarf and pipe. finished measurements: 8" X 5"
Noah's Ark LARGE. 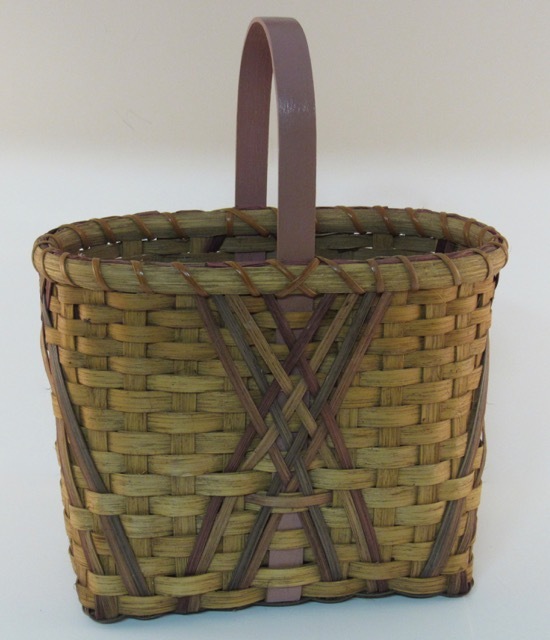 Finished measurements: 12" X 8"
contains all the materials needed and instructions. 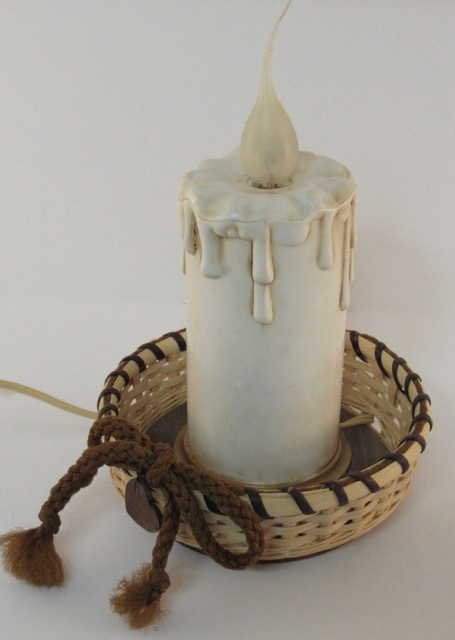 Back in time old world classic candle woven on a wood base with electrical components. 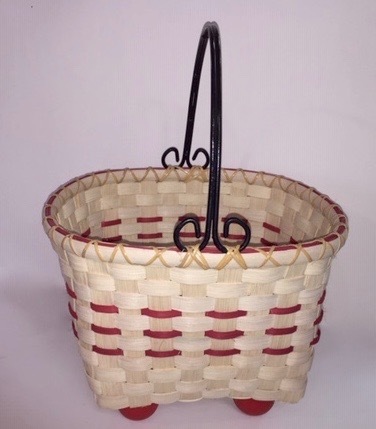 Basket constructed on wood base with legs. 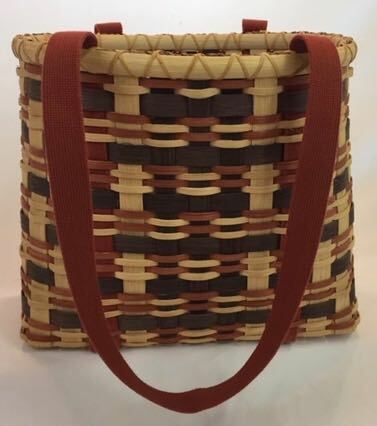 Nice for holding washcloths or hand towels. 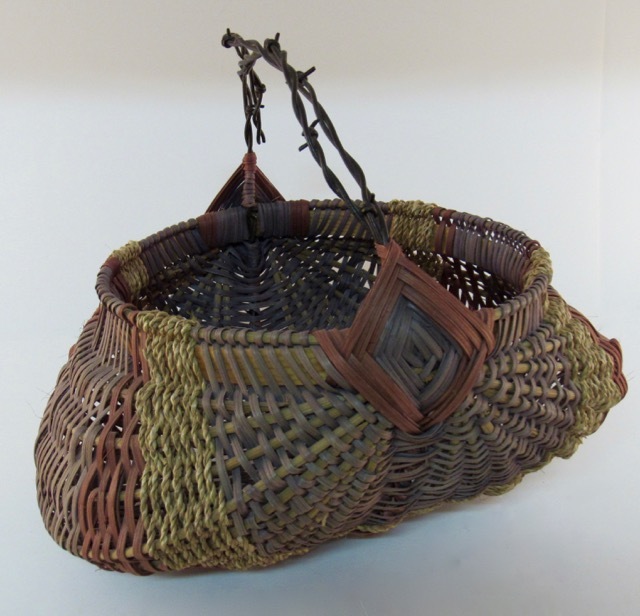 Made with wire/wood handles and all natural reed. 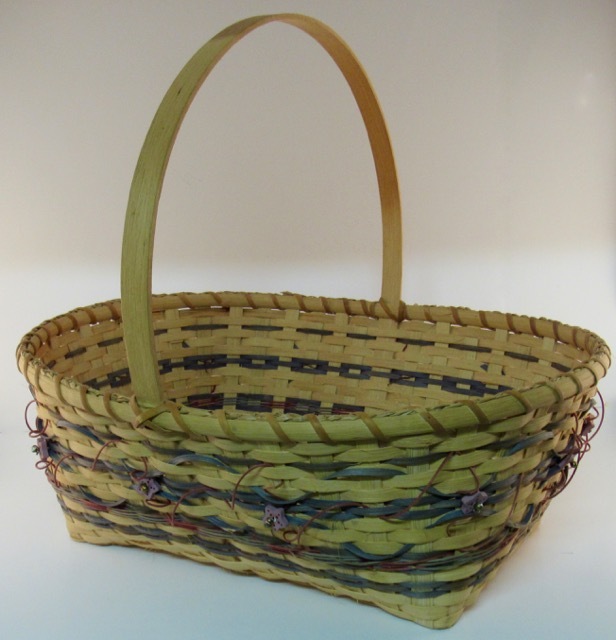 This basket takes a traditional egg basket and adds a little bit of unique midwestern flare. 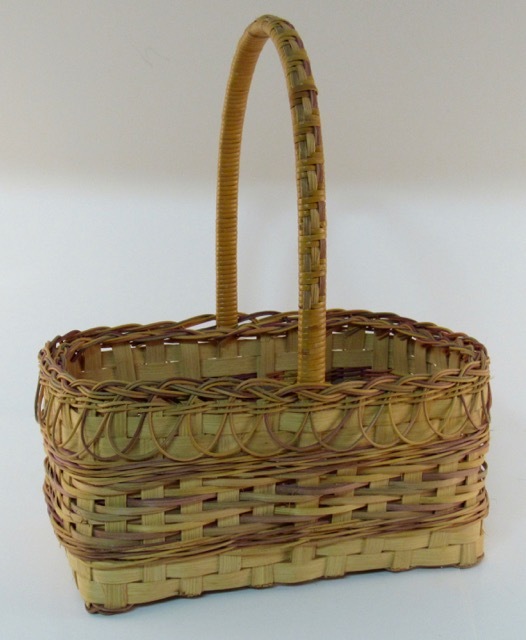 Make a festive basket to hold your whole peanuts for a gathering. 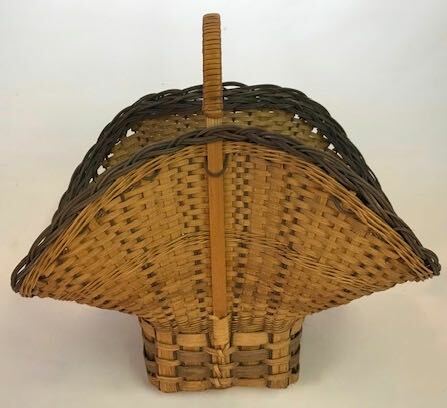 One side of the basket for the "nuts" the other side for the shells! Great idea! Set it out for all to nibble on the nuts! 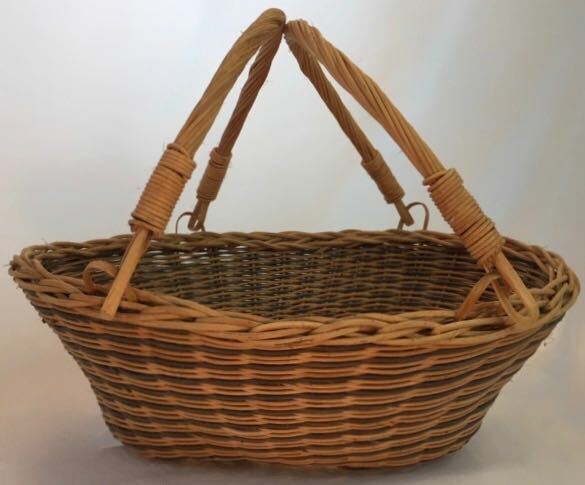 Server your warm Baguette bread in this basket. 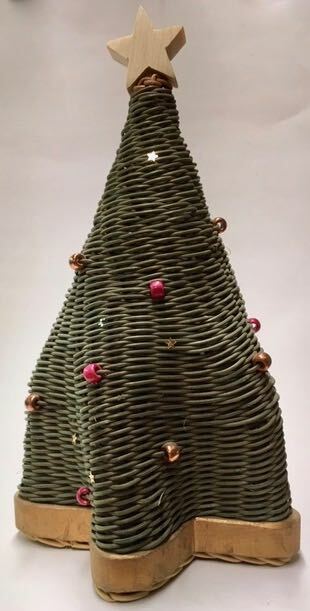 Pine tree is great for the holiday season or just a woodlands decoration. 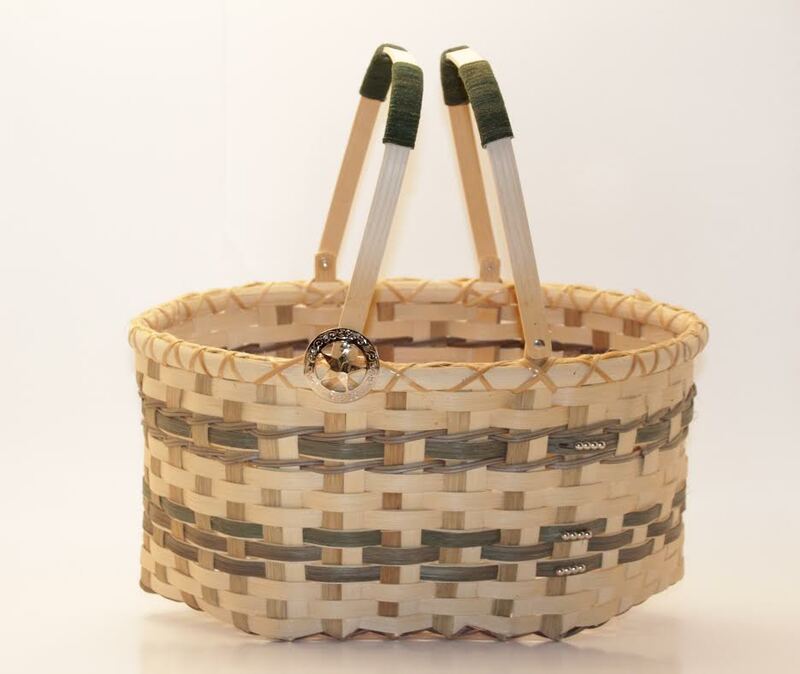 New twist on a tote that can carry everything. 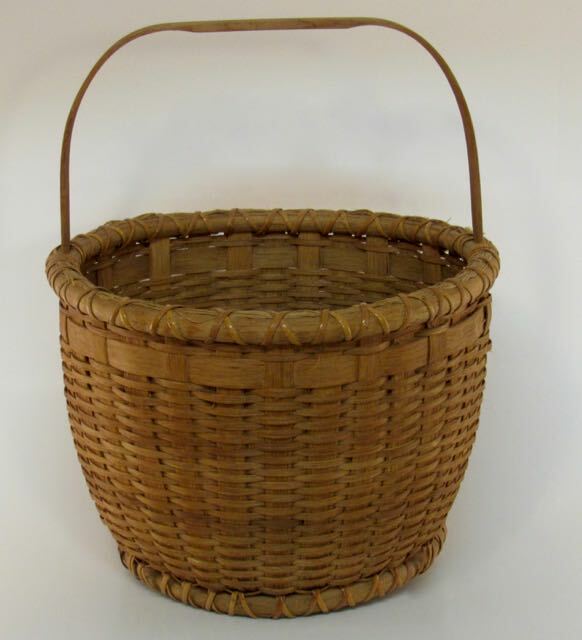 Base diameter: 9", Top diameter: 12"
A little touch of the prairie with this basket. 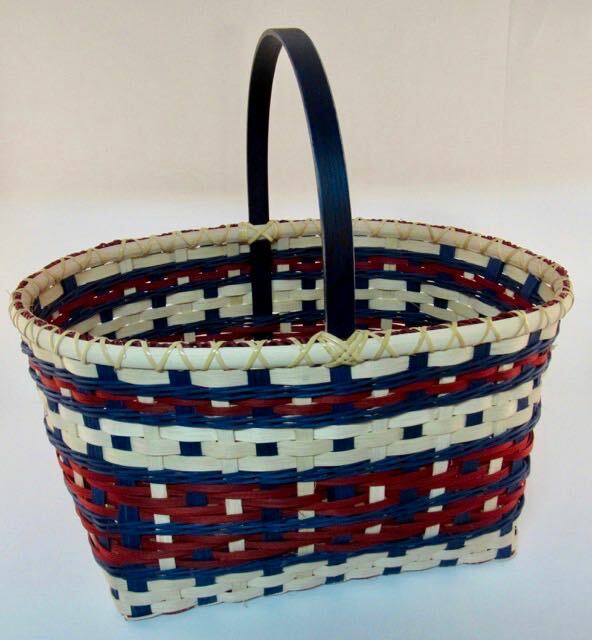 Nice patriotic basket with filled in base. 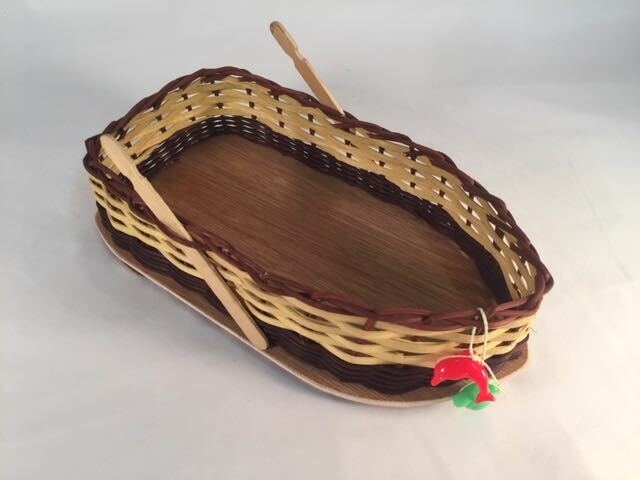 Cute basket for the holiday season. 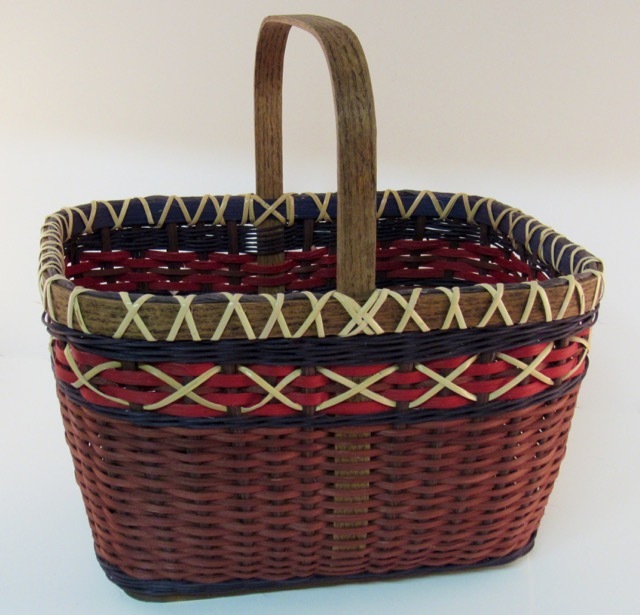 Nice basket for a nautical theme. This is a kit that can be used to teach local scout troops, classes at elementary schools and art classes, VBS or church groups, etc. Very easy for the adult to learn and then teach to a young student class. 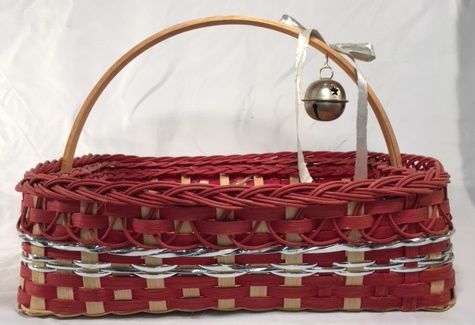 Large market basket great for holiday parties or just because you like red. 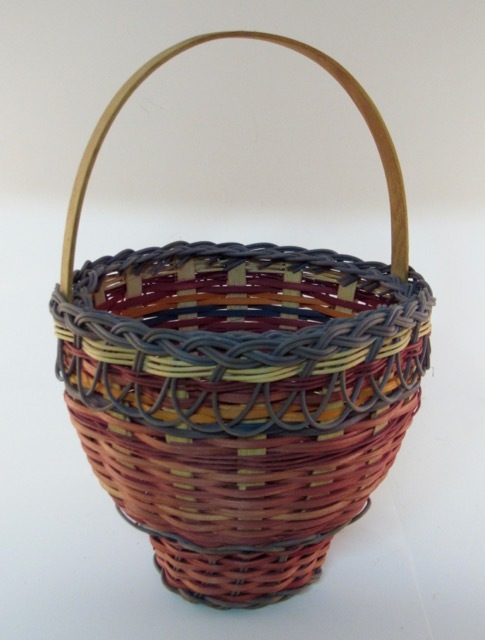 Accent the Christmas season with this wine dyed basket. 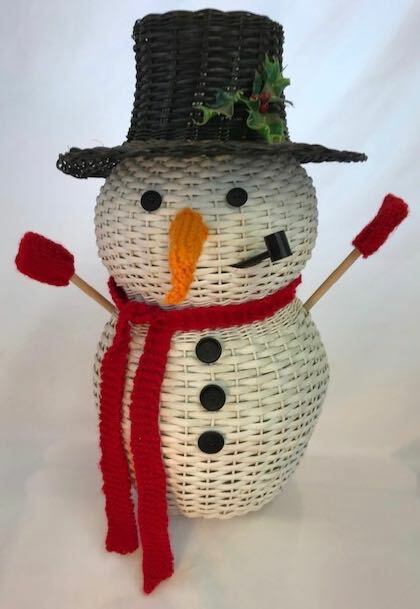 Add some festivity to your holiday decorations with this 7" snow person. 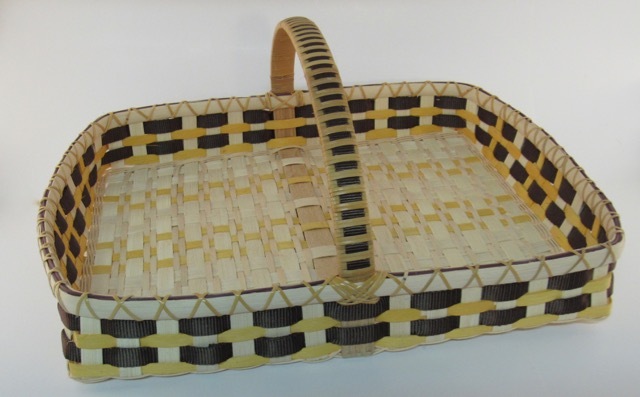 This is a nice egg basket for those who like Native American baskets. 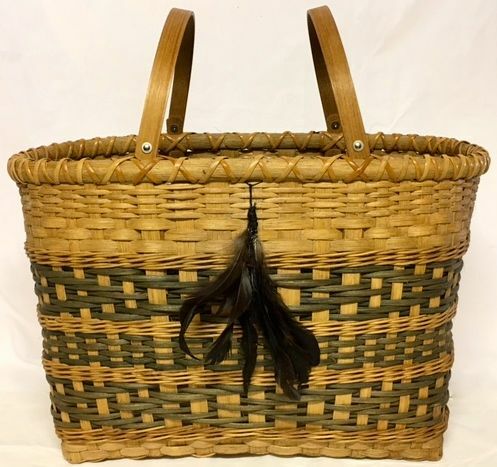 Has strippes of leather and embellishements on handle. 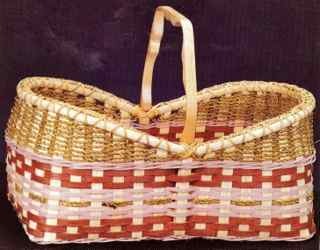 This is a nice egg basket for those who like Native American baskets. Cane is Dyed Hamburg Cane. 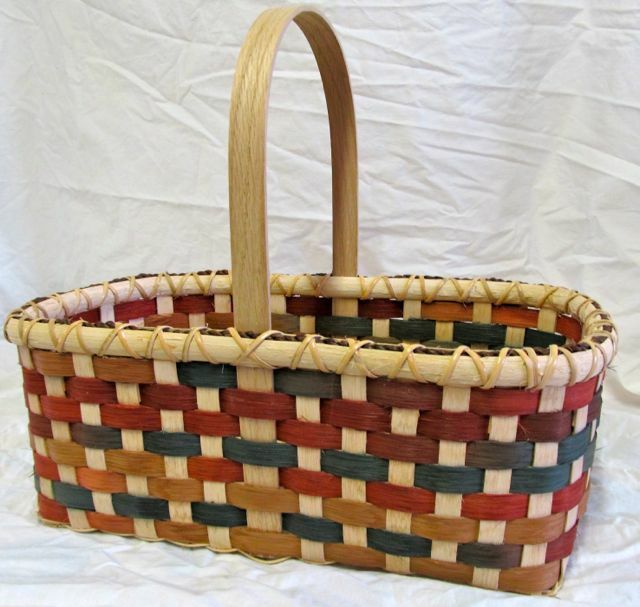 Great beginners basket kit, or use as a class project. 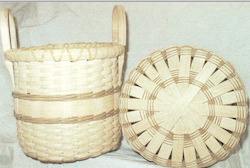 Kit contains all materials and pattern. This is not just for spring. 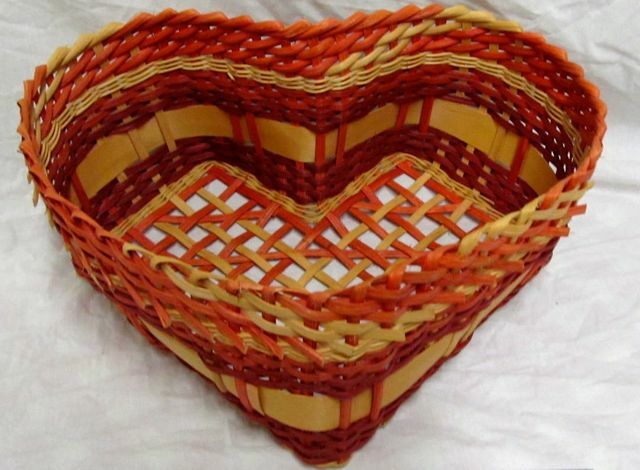 Hang this basket on your wall to bring the joy of something beautiful to a room. Contains instructions ans all materials needed. 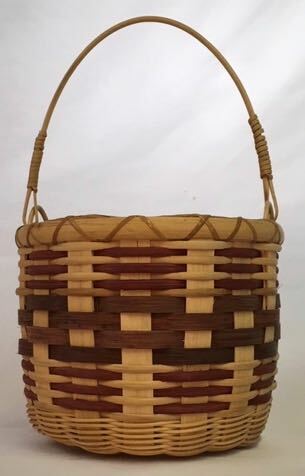 Finished size: Base 10", Height 6 1/2"
This one of a kind basket can spin to make it easy to reach what you need. 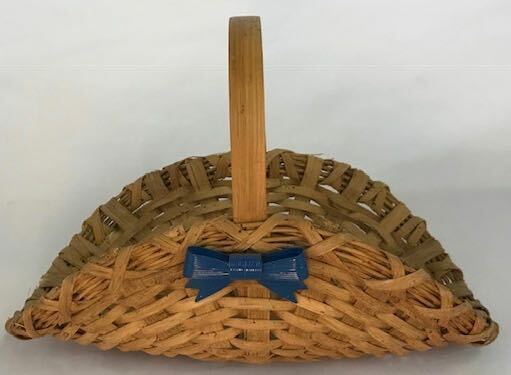 The base comes stained and the finished dimensions are 17"w x 7"h.
This beautiful wagon is ready to create memories for little children and their teddies. Works great to display your collection of teddy bears also. 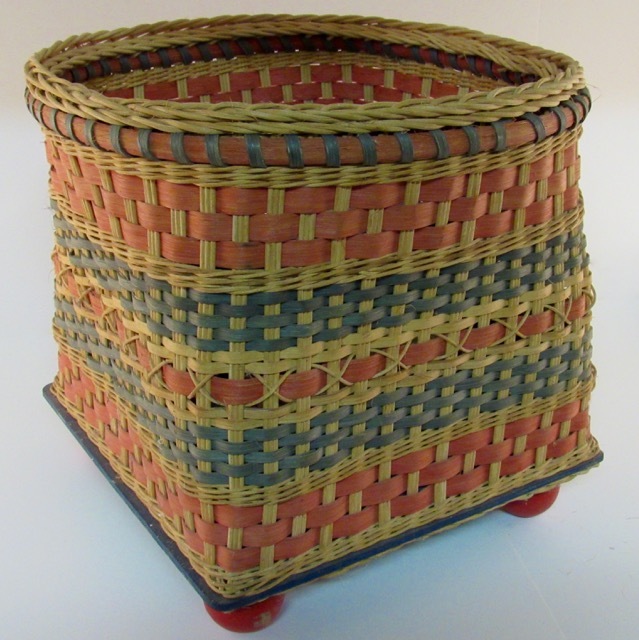 This is a cute medium wagon for little kids to put their stuffed animals or dolls in for play time. 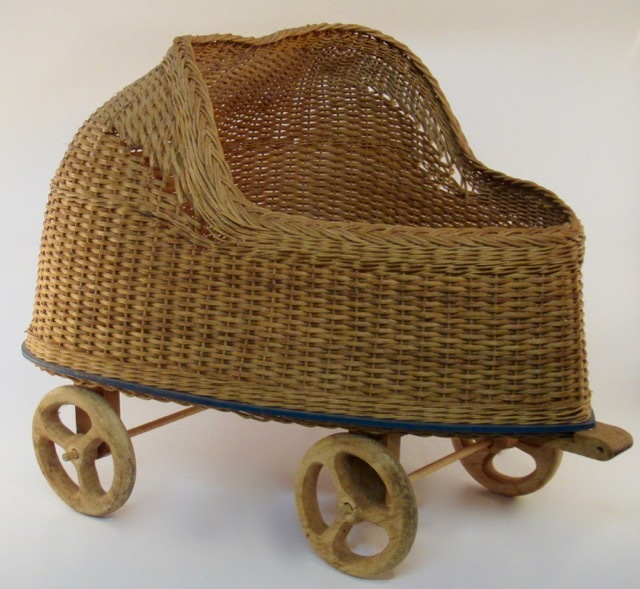 This is a cute mini wagon for little kids to put their stuffed animals or dolls in for play time. 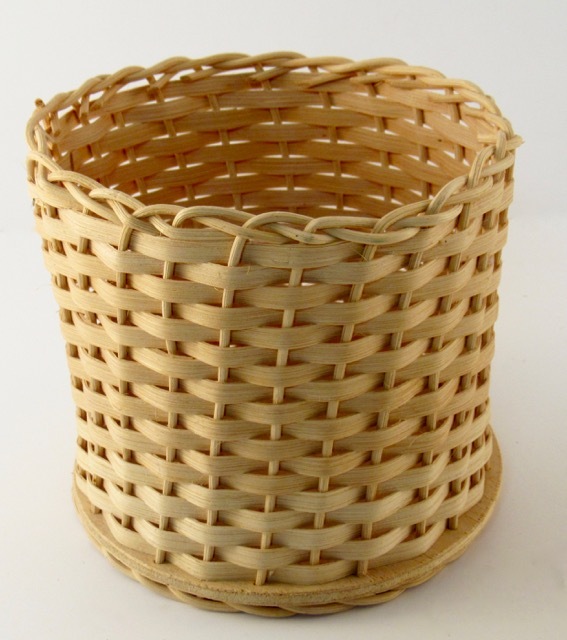 This basket is made with a segmented 8 1/2" x 11 1/2" hardwood base. Beautiful when varnished. 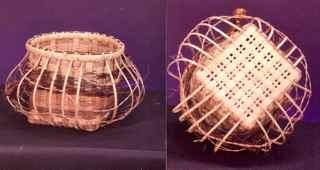 Handles are handmade with Brahma Webb. 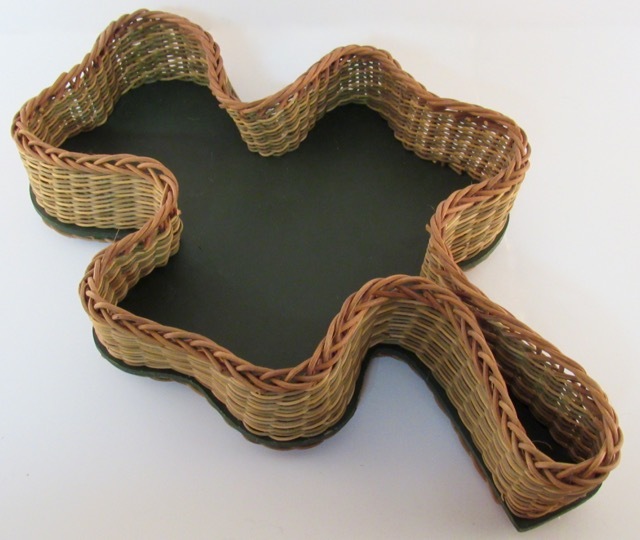 Create a decorative way to hide your toilet paper rolls with this TPT kit. 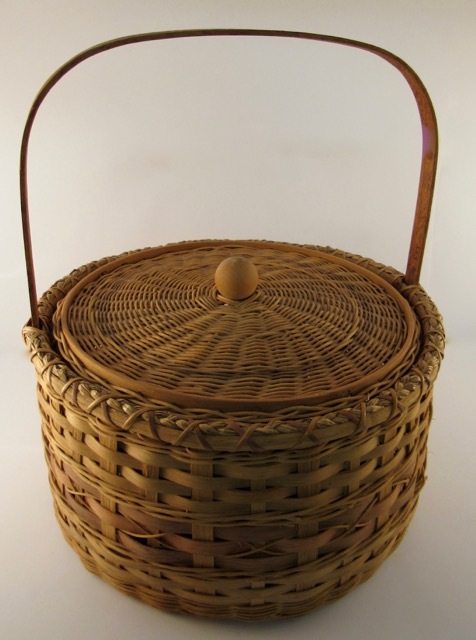 This is an old pattern, also called the Captured Lid Basket. 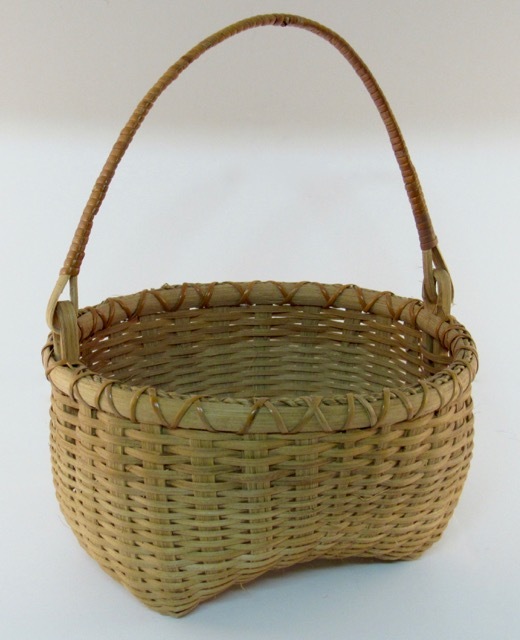 Traditionally used to hold the feathers plucked from chickens and geese. 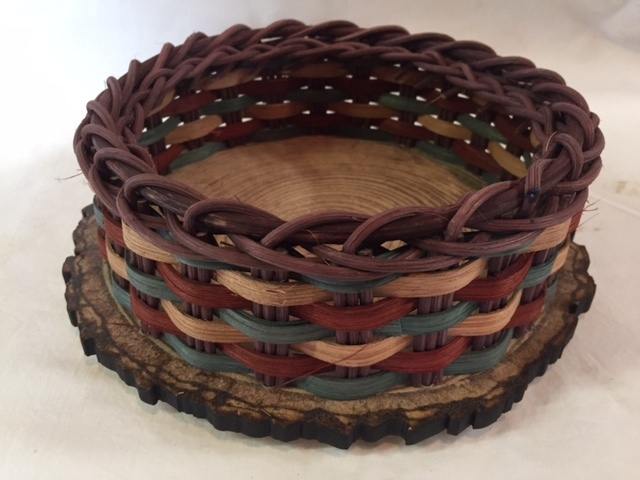 Round Basket with a beautiful braid to finish the top. 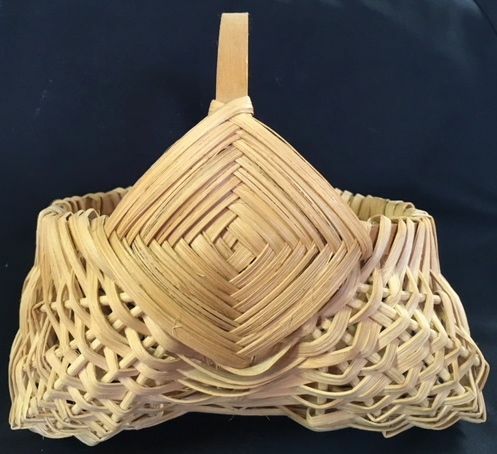 A good basket to learn shaping and a split reed base. 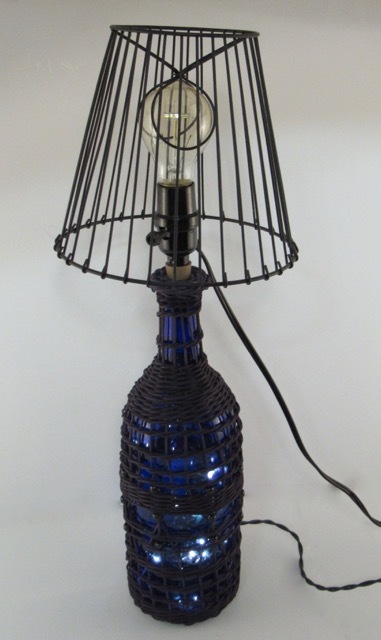 This kit makes a nice accent lamp. 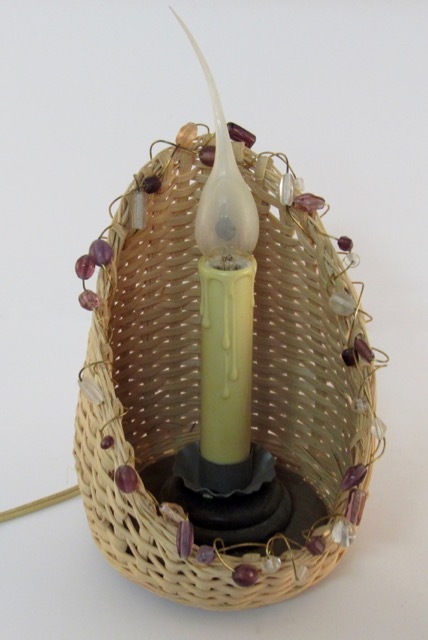 Not only does the lamp light with a vintage bulb, but also has string lights in the base of the bottle. 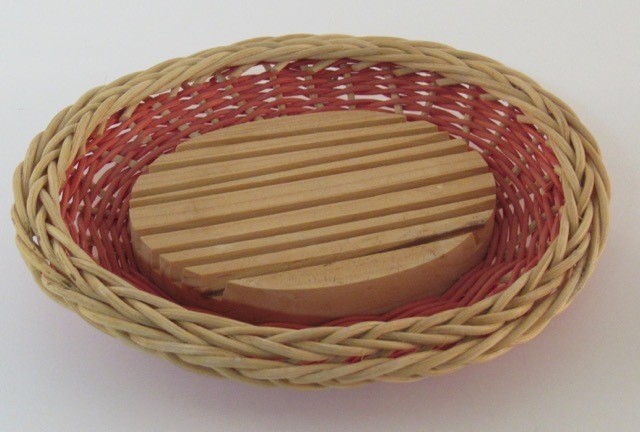 Simple basket to weave and use for pencils or notepads with a nice shelf to display knick nacks. 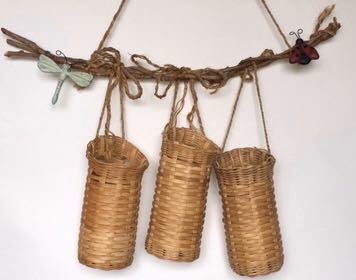 Here is a wonderful wind chime for your porch. As the wind blows you hear a beautiful song. Bonus DVD for $10.00 more! This kit makes a nice gift for anyone. Add your own special embellishment for any occasion. 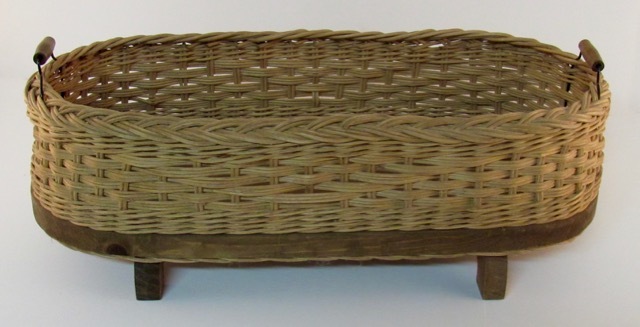 Bring home a slice of the woods with this faux wood base and woodsy colors. 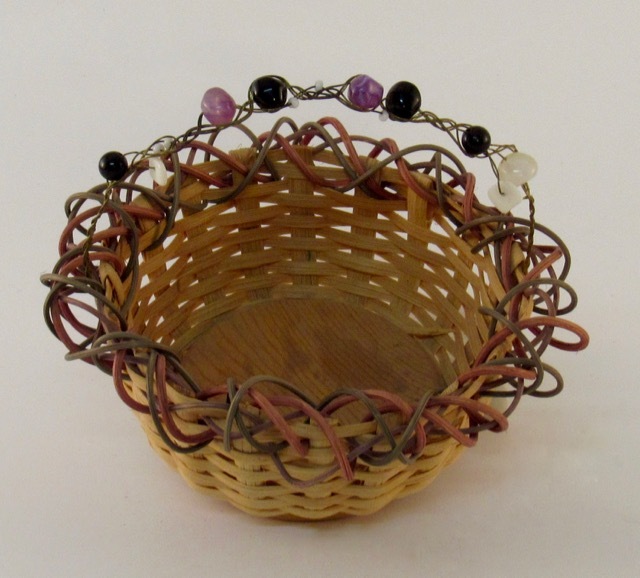 Weave your own beautiful bracelet. 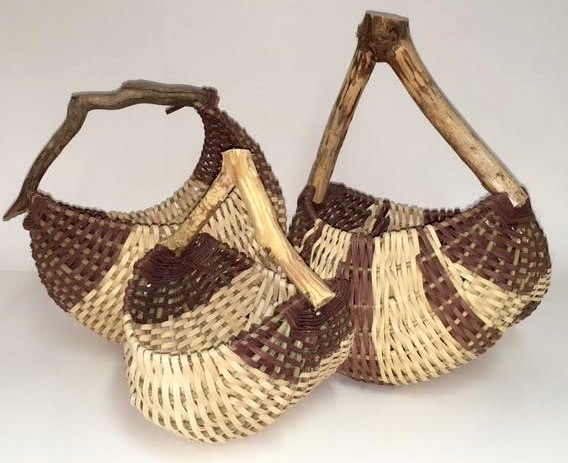 Two patterns included, you choose the one to weave. Perfect size for the wall, this accent mirror will display in any room. 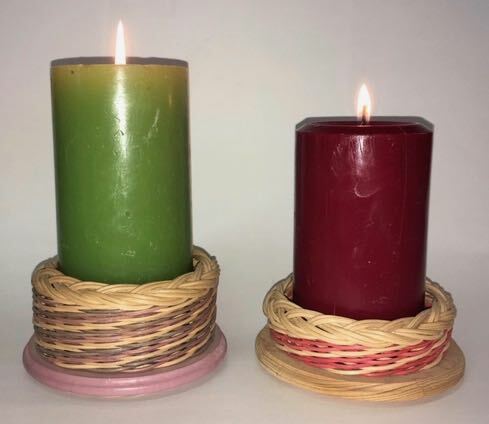 The double braided border is woven twice, once on the inside around the mirror edge, then again on the outside to finish off the mirrors edge. 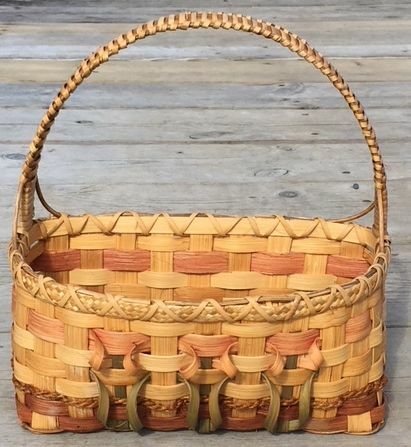 Not an easy braid to do, but weaving it twice in class make it easier to learn. Hook on back of frame for hanging. Mirror blacked out for photo purposes. 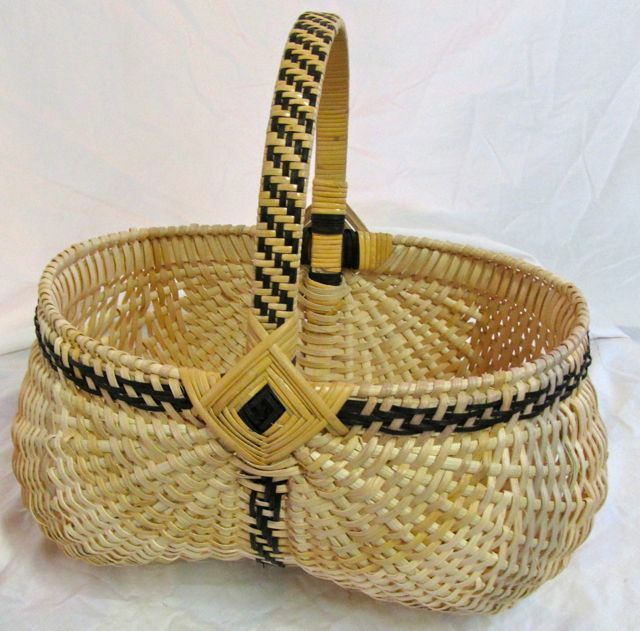 This beautiful basket has yellow stones set into weaving.